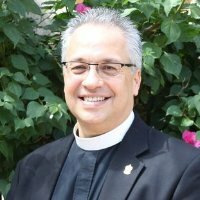 Canon for Stewardship in the Diocese of Arizona, and Priest in Charge of Church of the Advent in Sun City West, Arizona. Dombek serves as an officer of The Episcopal Network for Stewardship and has created an online Stewardship University called “Stew U.” He will give two presentations at Annual Council: It's Not about the Money: Relational Stewardship; Pledge Data that Matters; One Easy Way to Begin Planned Giving. Canon Dombek's presentations and other resources are on the Stewardship resources page. Click here for Bishop Hollerith's address to the 125th Annual Council. Lay Deputies: Sam Webster, Ascension, Norfolk; Alice Webley, All Saints, Virginia Beach; Toni Hogg, St. John's, Hampton; Isabel Burch, Bruton Parish, Williamsburg. Exhibitors at this year's Annual Council include: Parish Book Store, Union of Black Episcopalians; Bruton Parish Shop; Epiphany Studios; African Team Ministries; Crafts from Jerusalem; BK Textiles; GraceInside; VIPCare; Ministering to Ministers Foundation; Tri-Diocesan Council on Aging; Mission of the Holy Spirit; Jackson-Feild Behavioral Health Services; Episcopal Relief & Development; Cursillo; Episcopal Church Women.